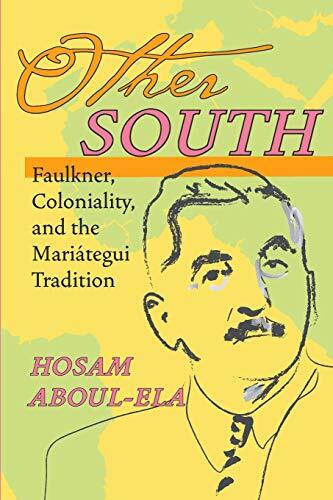 Hosam Aboul-Ela provides a startlingly original perspective on Faulkner, examining his work in the transnational context of the “Global South”: the geopolitical and economic dynamics of the post-Reconstruction period that link the American South to the larger colonial tradition. Other South thus raises new questions as to the scope and attitude of Faulkner's project, positioning Faulkner's work as an inherent critique of colonialism and emphasizing a more specific conceptualization of coloniality. Engaging with ideas and thinkers from the former colonies, Aboul-Ela draws on an understanding of economics, social structures, and the colonial/neocolonial status of the Third World, stepping outside the preconceptions of current postcolonial studies to offer a fresh perspective on our shared literary heritage and a new look at an iconic literary figure. Hosam Aboul-Ela is associate professor of English at the University of Houston.